Since my online stuff took off, and I could say goodbye to $10 dorm rooms and hello to nice hotels, I’ve scoured the internet to find the cheapest ways for me to book hotels online. 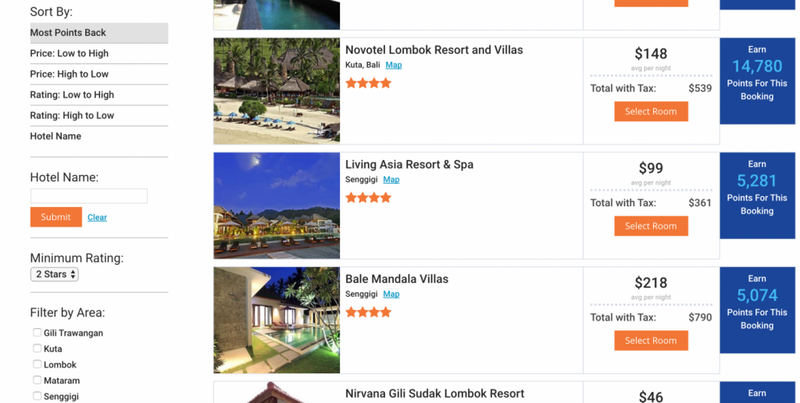 Booking.com, Agoda, Expedia – they are dime a dozen, and sure they’re pretty user friendly, but how good are they really? By 2017, we all know the ‘80% off this room’ is rubbish, and their promo rate is just the actual rate! Still though, they’re easy to use so we persevere anyway, for better or worse. Not anymore! A blogger friend of mine reached out to me when they realised I pretty much live in hotels for more than half the year. Asking me about how I book them etc etc, and then they told me about Bonwi. I said ‘Not another bloody hotel booking platform, no thanks’, but she wasn’t having any of it. Swearing it’s actually different, actually better. Grrrr, so I gave in and gave it a crack. This is what it’s all about. So how does it differ from every other almost-identical booking agent. First, the bad stuff. It takes a little longer to search for your hotels, maybe 5 to 10 seconds instead of 1 to 2 seconds which is a bit annoying but worth it when you hear the next part. The reason why it’s that split second longer is apparently it scours all the famous sites to make sure it quotes the lowest possible price, then on top of that, it has to use its crazy algorithms to work out how many points it can feed you right back. So, sure I don’t like waiting 7 seconds or whatever, but if I get 25%+ back in points, I’ll take it on the chin. 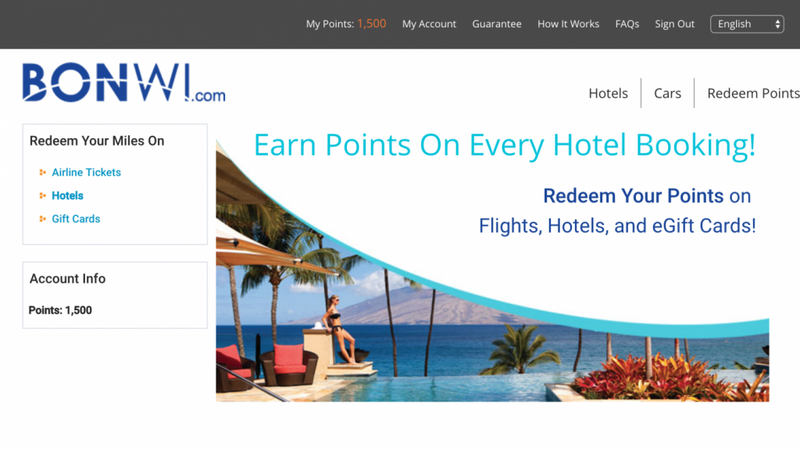 Check out the Novotel property – I booked it and got almost 20,000 points back (I took this screenshot today, it’s dropped to 15,000 points, still pretty awesome). Roughly speaking 100 points = $1. My total booking was about $600, and I got $200 back in points – 33% credit, unreal. Next up, I’m taking my mum to Komodo to visit the dragons, same gig again. Booked 2 nights for $200, got about $60 back in points. So now I have almost $300 to spend in points on their website from 6 nights booked. Now I discovered that I can use these points to book hotels directly on their site of course, but also for car rental and flights, aaaan even Visa cash cards! Insane. Redeeming points for hotels, airlines and CASH cards! The site is in its infancy, so sure it could search a little faster. It could look a little sexier too. But in terms of getting back what you put in, no other hotel site comes close. It offers the same super cheap prices as other booking engines BUT you get up to 30% back, and then you can redeem those points in loads of way. I wish I had known about this when I was booking hotels in every corner of the world, but better late than never! Give it a crack and let me know how you guys get on, it’s pretty epic!